Twenty-five years ago, moviegoers fell in love with Tom Hanks and Meg Ryan as two strangers searching for a soulmate in “Sleepless in Seattle.” As the romantic-comedy by director Nora Ephron marks its silver anniversary, Fathom Events and Sony Pictures Entertainment are bringing the enchanting film back to cinemas nationwide for two days only. Tickets to “Sleepless in Seattle” are now available at www.FathomEvents.com or at participating theater box offices. The Fathom Spotlight Series will present the 1993 box-office smash – along with a brand-new introduction by Meg Ryan and producer Gary Foster – in nearly 400 movie theaters nationwide for two days only: Sunday, December 2, at 1:00 p.m. and 4:00 p.m., and Wednesday, December 5, at 4:00 p.m.and 7:00 p.m. (all local times). On its release, Roger Ebert praised “Sleepless in Seattle” as a film “so warm and gentle I smiled the whole way through,” and audiences couldn’t get enough of the second of four on-screen pairings of Ryan and Hanks. (1990’s “Joe Versus the Volcano,” “You’ve Got Mail” in 1998, and Ryan’s directorial debut “Ithaca” in 2015.) 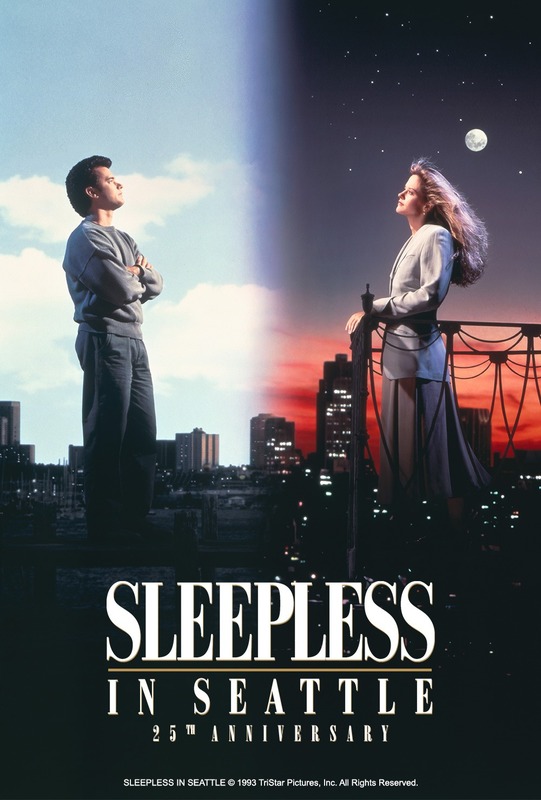 Filled with the strains of hopelessly romantic popular hits, “Sleepless in Seattle” was one of the five top-grossing films of 1993 and has also been named by the American Film Institute as one of the 10 most romantic movies ever made. It’s the tale of two romantic souls destined to be together but kept apart by fate. After the death of his wife, Sam Baldwin (Hanks) is trapped in grief, and moves from Chicago to Seattle with his 8-year-old son Jonah (Ross Malinger in a scene-stealing role). Unsure of how to help his father get through the pain, Jonah calls a national radio show to seek the advice of a psychologist, immediately attracting the attention of millions of people, including reporter Annie Reed (Ryan). She can’t stop thinking about Sam’s predicament, even though she’s already engaged to Walter (Bill Pullman). Urged on by her best friend and editor (Rosie O’Donnell), Annie proposes a plan to meet Sam at the top of the Empire State Building on Valentine’s Day … but no one is sure the meeting will happen. “We couldn’t let 2018 come to an end without honoring one of the truly great romantic comedies as it celebrates its 25th anniversary – and we’re doubly excited to have the help of Meg Ryan and Gary Foster, whose talents were so critical to making this film a success,” said Tom Lucas, Fathom Events VP of Studio Relations. Tristar Pictures presents “Sleepless in Seattle” with executive producers Lynda Obst and Patrick Crowley. The story is by Jeff Arch with screenplay by Nora Ephron and David S. Ward and Jeff Arch. The film was produced by Gary Foster and directed by Nora Ephron. “Sleepless in Seattle” is available on Blu-rayTM, DVD and Digital. Beginning today, The North Face will activate “Explore Mode” in major cities leading up to Earth Day on Monday, April 22. Throughout the week, The North Face will partner with musicians, artists and culinary influencers to host a series of one-of-a-kind experiences that encourage people to disconnect digitally and engage with their surroundings. 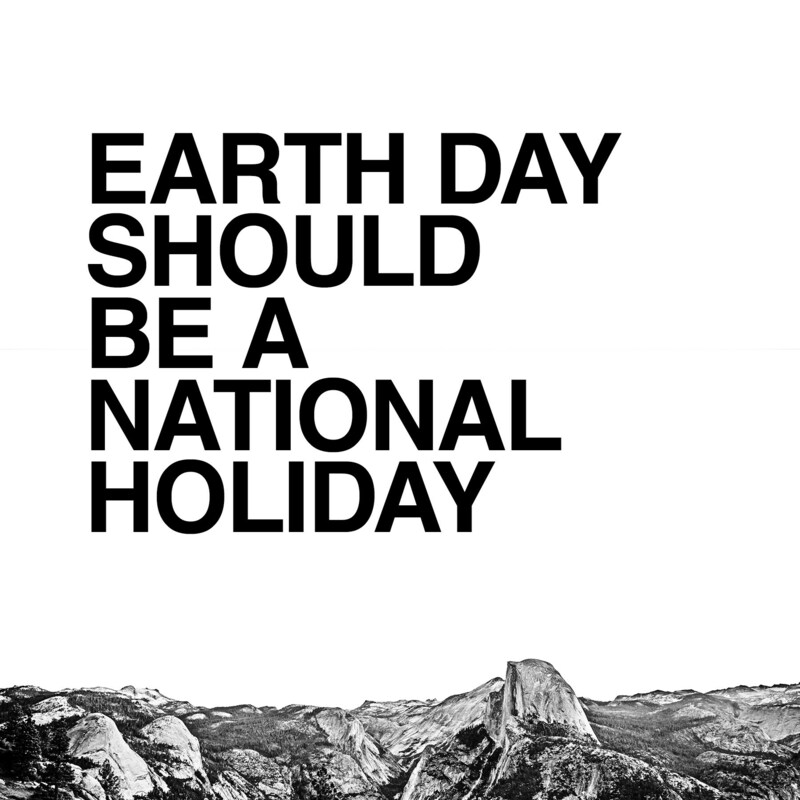 The week will culminate with The North Face and 15 organizations around the world partnering to launch a global Change.org petition to make Earth Day an officially recognized holiday. The North Face will also shut down 113 stores in the US and Canada, as well as its global headquarters on Earth Day to provide opportunity for employees to disconnect and explore. The North Face partnered with influencers including singer and songwriter Ella Mai, chef Angela Dimayuga and model and activist Gabrielle Richardson to host bespoke events in New York City that will reflect the brand’s spirit and the mindset of exploration in music, food and art, along with encouraging exploration in the outdoors. These experiences will only be accessible to those who put down their phones and digital devices to be present in the moment. Explore Mode experiences are rooted in inspiring and enabling people everywhere to unplug from their digital lives and connect in real life to the one another and the world around them. Tuesday, April 16: Grammy-winning singer and songwriter Ella Maijoins with vintage fashion collector and curator, Brian Procell, to throw the ultimate 90s throwback party – a mash-up of music and streetwear. Mai will pay homage to the hits and looks of past decades that inspire culture today, while Procell’s collection, including vintage looks from The North Face, is on display. Wednesday, April 17: World renowned chef Angela Dimayuga will go off menu and bring a select number of consumers along for the ride as she explores the many flavors of NYC that bring her inspiration. Thursday, April 18: Model-artist-activist Gabrielle Richardson takes over Skylight Soho to curate an art exhibition under the theme of exploration. Guests are invited to participate in a “live” piece onsite with Gabrielle and her partners through an interactive display of artistic exploration. The brand will also activate Explore Mode in other major cities globally including London, Manchester, Munich and Paris. Before closing stores, The North Face will also switch its retail locations into Explore Mode where customers can find all the resources they need to spend Earth Day off the grid, exploring the outdoors. Customers who choose to take part in The North Face exploration activities will be rewarded with an exploration kit that includes analog gear to stay present and capture memories without the need for digital devices. You’ve probably been there before. The plan was to spend time straightening your hair to perfection so that you could strut out of your house in supermodel fashion. Yet, an hour later, you stumble out of your house burned and looking like a crow tried to nest in your hair. Forget your subpar straightener. Your hair is a diva and demands more. 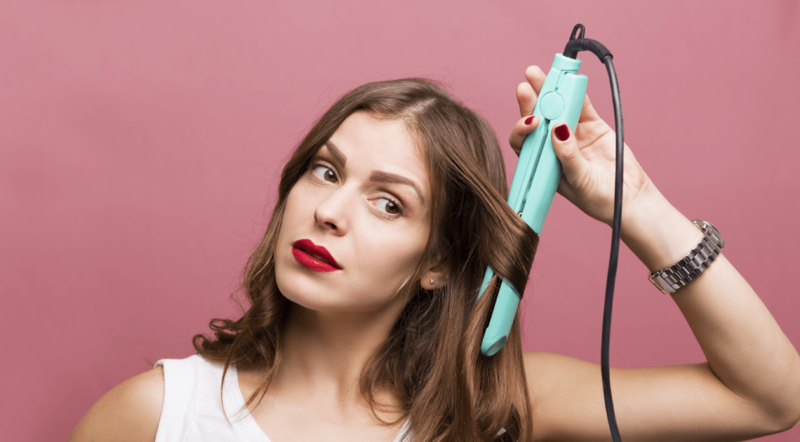 This is why RAVE Reviews put together a ranking of the best straighteners to ensure you are equipped with the best of the best. The perfect straightener is different for everyone. Frequency of usage, hair thickness, and hair texture are all factors that need to be taken into account in order to select the ideal straightener. RAVE’s number one choice, the Furden Two-In-One Straightener, does the job wonderfully for most people. As some hair has very particular needs, however, RAVE highlighted the best straightener for everyday use, thick hair, fine hair, and for those working on a budget. This ranking outlines the tools you need for that supermodel look. It’s time to get your strut back. In determining which straighteners to feature, RAVE compared reviews from sources across the internet and took into account multiple factors such as price, materials, technology, feel, effectiveness, and more. RAVE Reviews is an authoritative and entertaining guide for consumer goods, entertainment, and travel. It’s not a product review site or a lifestyle magazine. But if those two met on an online dating site, 9 months later, you’d have RAVE Reviews. 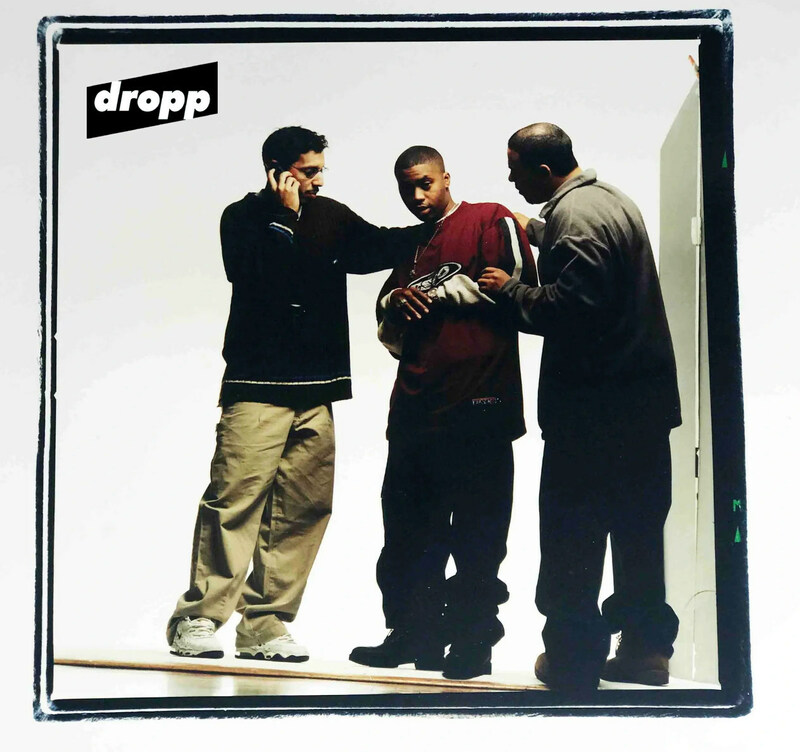 Dropp is proud to announce that it has hired Jose Rodriguez and Willie Escobar Montanez of Escobar and Sons to manage Brand Partnership strategy for Dropp. Montanez and Rodriguez have nearly 50 years combined of experience creating, developing and marketing brands, especially in youth and pop culture oriented markets. Willie Escobar Montanez is well known for his own brand “Willie Esco,” a highly successful urban street wear brand and has worked with globally known brands, including Samsung, Barneys, COOGI, Daymond John, FUBU, KITH, Etonic, Tupac Shakur, Rag & Bone, 424, and Patta. Mr. Montanez has secured licenses for brand development ranging from Tupac Shakur to MGM film/movie licenses that have been instrumental in generating more than $400 million in worldwide sales to date. Jose Rodriguez has more than 15 years experience developing brands such as Platinum FUBU, Rocawear, Sean John and others. Mr. Rodriguez’s design portfolio has generated more than $200 million in sales. Focusing especially on brand image, Mr. Rodriguez maintains personal and professional relationships with high profile luminaries and organizations, such as 50 Cent and G-Unit Records, Shady Records, StarPower Global (Fabolous), Roc Nation, Def Jam, the Country of Bermuda and many others. Montanez will focus on taking over as “Head Of Brand Partnerships” and utilize the current roster of brands within their portfolio – Coogi / Jaclar / Lotto Sport Global / Fubu / Lo Life Brand / Patrick Kelly / Puma / Twinzz and many more. Rodriguez is appointed to help creator’s who are part of the Dropp Creator Network (DCN) with designing merch and clothing lines to help monetize their brands.